It was so wonderful to capture Tamra and Patrick’s wedding at the picturesque Lindenderrry of Red Hill. 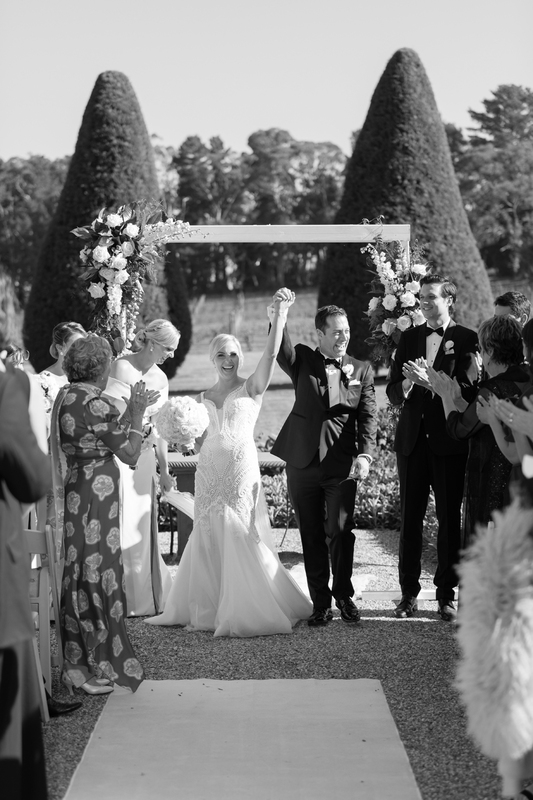 This Sydney based couple planned the most amazing celebration on the Mornington Peninsula- marrying in Lindenderry’s vineyard in front of family and friends with a lively ceremony officiated by celebrant Megan Watson. After many laughs at the ceremony (and a few happy tears) we headed off with the bridal party around the grounds for a few photos- we absolutely love shooting at Lindenderry as there are so many different locations to shoot around the venue! As Tamra and Patrick joined family and friends at their reception- the party kicked off and everyone enjoyed some killer speeches and a packed dance floor! Thanks for having us along to capture your day Tam and Paddy! Shannon and Christine.